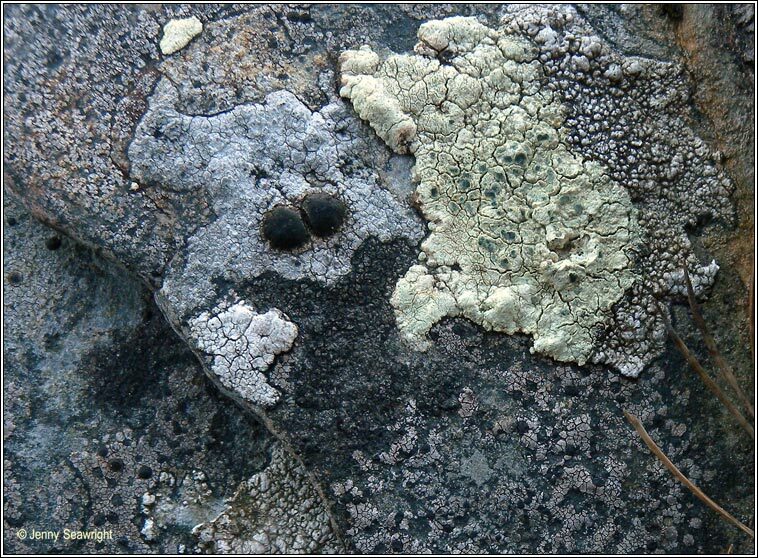 Photos: On coastal and upland rocks. Co. Cork, SW Ireland. Very variable. Thallus immersed to thin and continuous, occasionally thicker and areolate. Usually pale greenish-grey but reddish when oxidised. 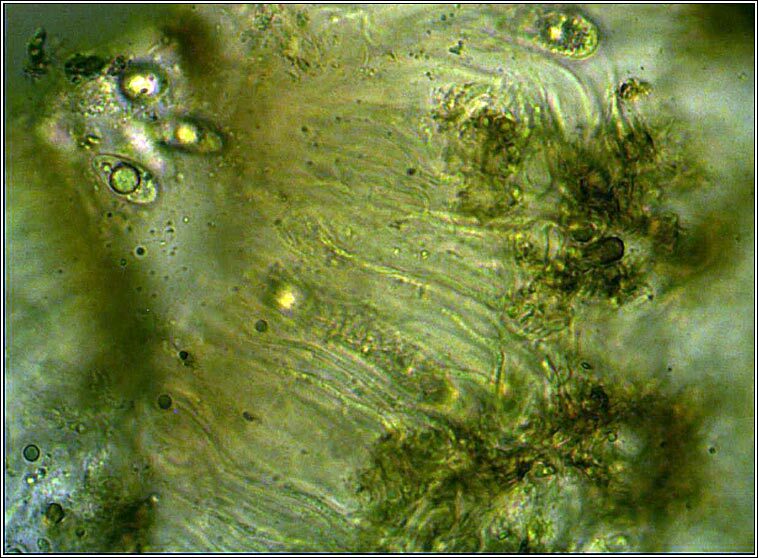 Prothallus is indistinct when thallus immersed, but black and +/- visible when superficial. 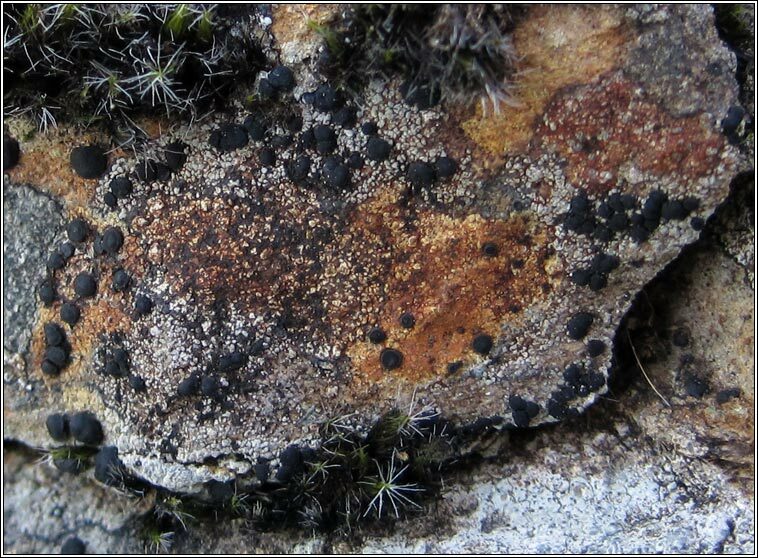 Large black apothecia (to 3mm) abundant, shiny or matt with persistent margins, rarely pruinose. Epithecium pale brown to olive-brown. 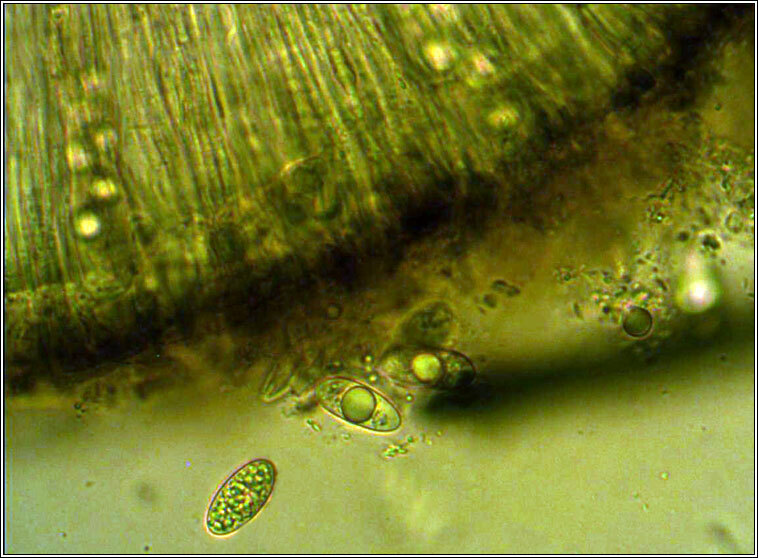 Asci 8-spored, spores simple, (13-)16-20(-26) x (5-)6-11.5 µm. Paraphyses anastomising. Microscope photographs below. 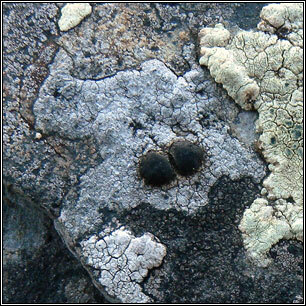 Common on siliceous rock, most frequent in upland areas.